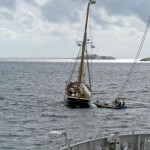 The 24 meter long 2-masted sailing training vessel Atene ran aground near Stora Kornö, Sweden. 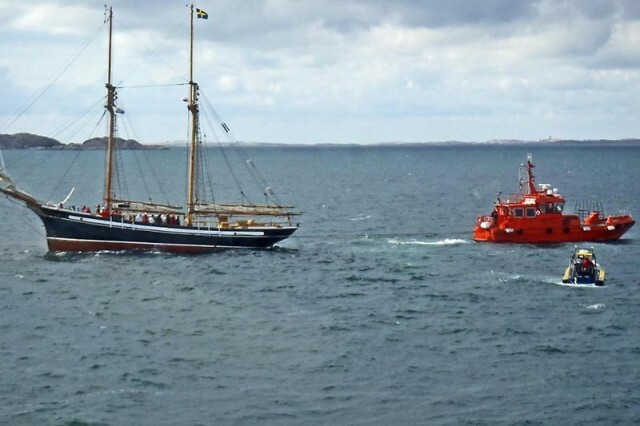 The vessel with 24 trainees on board was on a regular sailing when it ran onto a shoal. The crew contacted authorities who dispatched a nearby Coast Guard ship to the scene. 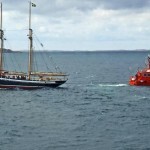 A pilot boat and two vessels from the Sea Rescue Society also arrived soon after. 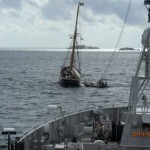 The vessels pulled the wooden-hulled Atene off the shoal and then proceeded to Stora Kornö for further inspection. No reports of injuries, damage or pollution released.